From its launch in 1920 until its demise in 1951, the magazine Black Mask published pulp crime fiction. The first hard-boiled detective stories appeared on its pages. Dashiell Hammett and Raymond Chandler, Erle Stanley Gardner and John D. MacDonald got their start in Black Mask. The urban crime stories that appeared in Black Mask helped to shape American culture. Modern computer games, films, and television are rooted in the fiction popularized by “the seminal and venerated mystery pulp magazine” (Booklist). 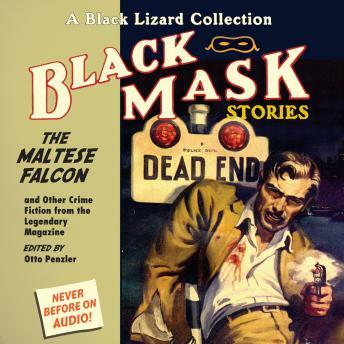 Otto Penzler selected and wrote introductions to the best of the best, the darkest of these dark, vintage stories for the collection The Black Lizard Big Book of Black Mask Stories. Now that collection is available for the first time on audio.